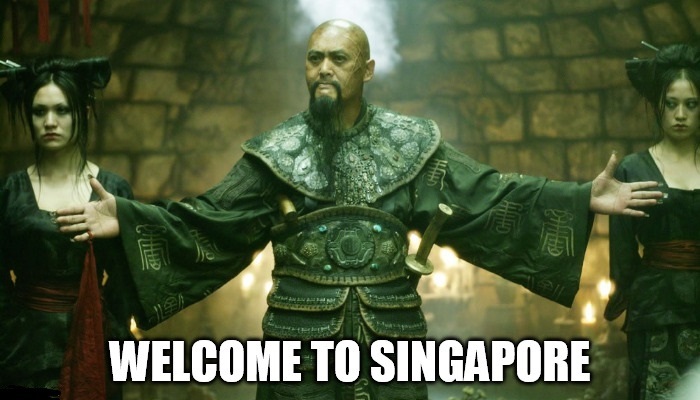 As Chow Yun Fat once said, welcome to Singapore. But don’t expect to see the star of Pirates Of The Caribbean: At World’s End here, though. And on behalf of Singapore, I apologise. 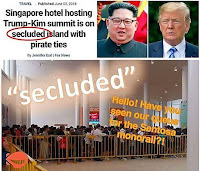 You picked our country in good faith to host your historic peace summit tomorrow and we have allowed it to devolve into a crass commercial opportunity for local F&B outlets, foreign impersonators and the Singapore Mint. And not even the cool, refreshing kind of mint. But the coin! And not even the fun chocolate coin you can eat. But made of metal! Gold, silver or nickel-plated zinc. I preordered the zinc because it’s the cheapest ($36). But I refuse to order the KFC Four Peace Meal because KFC didn’t even bother to concoct a new American-Korean fusion flavour of chicken. All KFC created was the pun. Come, I clap for you, KFC. 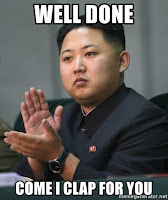 Even worse, I found out that the KFC Four Peace meal offer is meant only for you two world leaders. An ordinary citizen like me can’t order it if I wanted to. So RI aren’t the only initials that are elitist. KFC too! We all know how much Mr Trump loves his fried chicken, though apparently not as much as the naked guy loves the chicken in the drawing by artist Vincent Leow that has since been removed from display at the Esplanade. At least KFC did something for the summit. Both of you must be disappointed that McDonald’s didn’t create a Happy Summit Meal as Mr Trump is a well-known McDonald’s fan and it was once reported that Mr Kim is more likely to allow a McDonald’s in Pyongyang than give up the nukes. All McDonald’s did was bring back McGriddles with a promotion involving some obscure Russian event called the World Cup. But I have an idea to make up for everything. 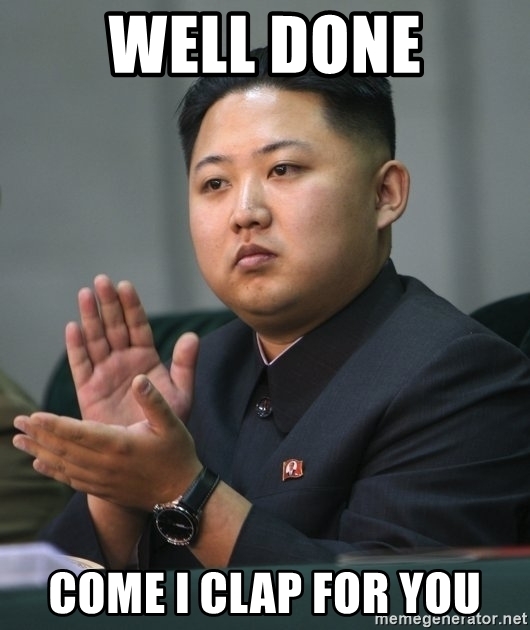 I read that there was an issue of how the accommodations of the North Korean delegation in Singapore will be paid for. I also read that two foreigners impersonating you esteemed gentlemen have exploited the hype around the summit by coming here and charging $15 to take a photo with them. If impersonators can charge $15, imagine how much you can charge since you guys are the real deal. At least twice as much. Maybe more! Plus extra for a wefie with Dennis Rodman. That should take care of the hotel bill. If not, ask Elon Musk. The billionaire Tesla CEO should have some spare change after paying the premium to read The Straits Times open letter to him online. Our Prime Minister Lee Hsien Loong said yesterday that the summit will cost Singapore about $20 million, but it’s worth it. Too bad our teachers still have to pay for school parking. By the way, since you’re meeting on Sentosa, you should check out the new Jurassic World live show at Universal Studios afterwards. Just to warn you though, it’s the June school holiday now and Sentosa may be a little crowded, not “secluded” as the the Fox News headline says. Fake news! I know someone who works at Universal Studios and may be able to get you in free (or at a discount). Consider it my humble contribution to the peace process. I look forward to our wefie with Rodman. You won’t charge me, right? I got my summit coin! Remember once upon a time when #trumpkimsummit was a thing?